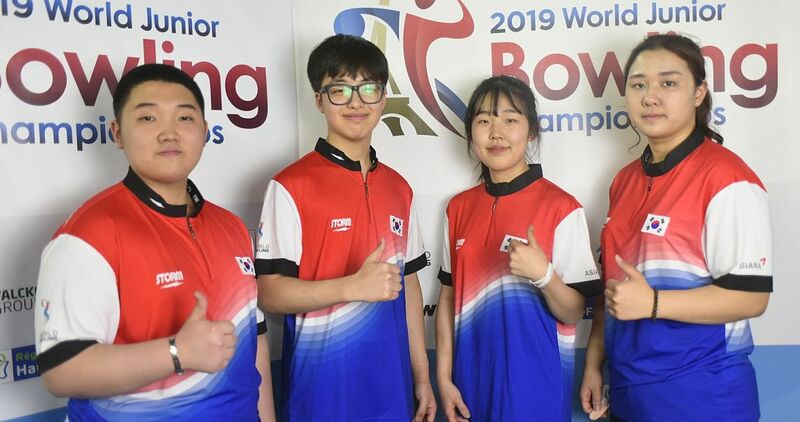 Ji Geun of Korea (featuted photo) and Singapore’s Arianne Tay made history when they captured the gold medals in boys’ and girls’ singles, the opening event at the inaugural World Junior Bowling Championships at Plaza Bowling Saint Maximin in Saint-Maximin, France, Tuesday evening. Four 17-year-olds advanced to boys’ finals. Ji, the lone lefty who earned the no. 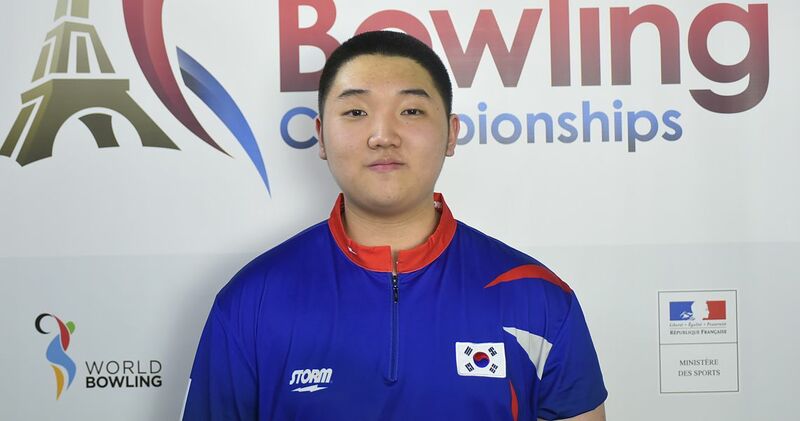 2 seed for the boys’ medal round with 1,516 six-game total, including a high game of 278 and a pair of 277s, reeled off ten consecutive strikes in his semi-final match against no. 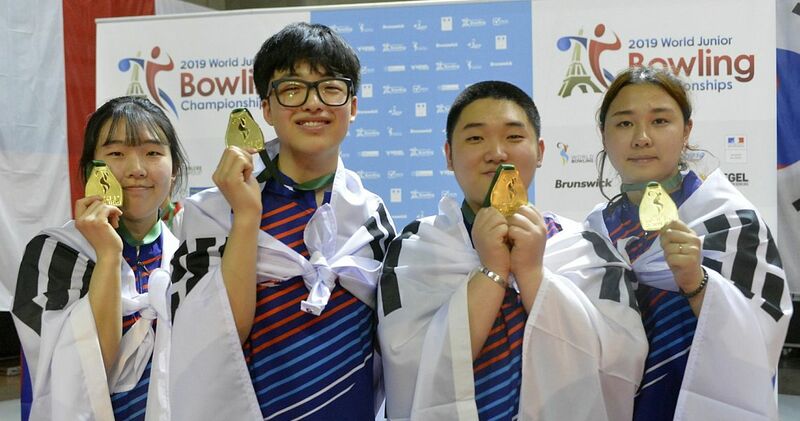 3 Maximiliano Lopez, Mexico, to shoot the first perfect game (using World Bowling’s Current Frame Scoring system) in World Junior Bowling Championships on the 41-foot Montreal oil pattern, defeating the Mexican, 300-221. The other semi-final match was an all-Finnish affair with the 2018 European Youth Doubles champions squaring off. 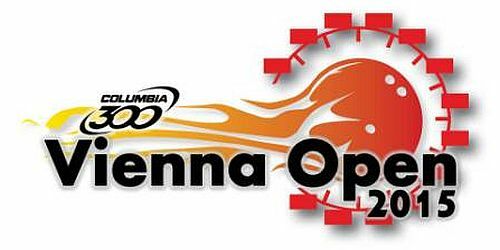 Jesse Ahokas, who barely made the cut for the finals, stunned top-seeded Pyry Puharinen in a match between two two-handed right-handers, 257-214. Ji carried the momentum into the gold medal match, defeating Ahokas, 235-224. Ahokas received silver, while Puharinen and Lopez shared the bronze. 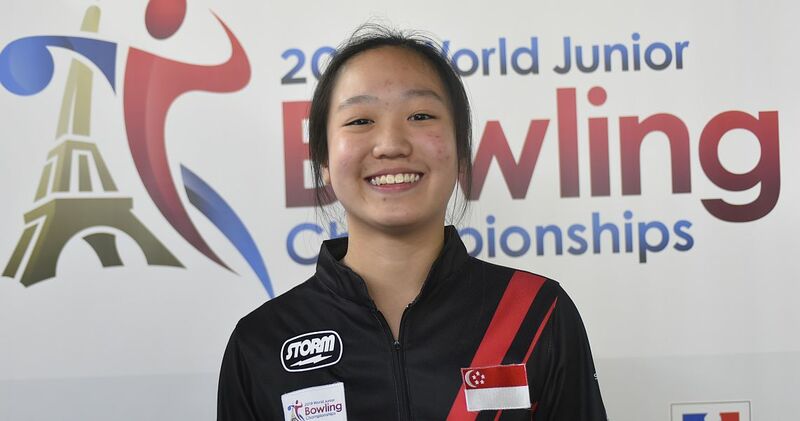 At the age of 14, Arianne Tay (right), a 14-year-old right-hander from Singapore, averaged 234.50 over six games to earn the no. 1 seed for the girls’ finals. In her semi-match Tay sidelined no. 4 seed, Grace Gella from the Philippines, the oldest athlete in the finals at the age of 18 and the lone lefty on the girls’ side, 214-188. The other semi-final match was another all-Finnish affair, in which no. 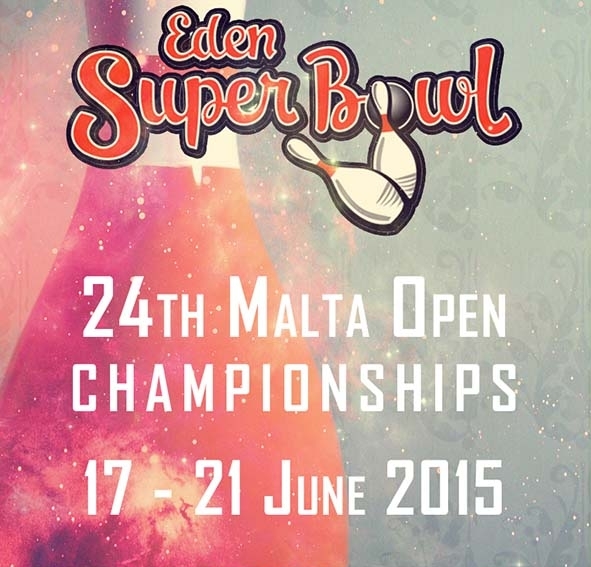 3 Peppi Konsteri, 15, edged Mila Nevalainen, 14, to advance to the gold medal match, 243-235. Tay wrapped up the title with a 230-190 over Konsteri, who earned the silver medal. Nevalainen and Gella both received bronze. 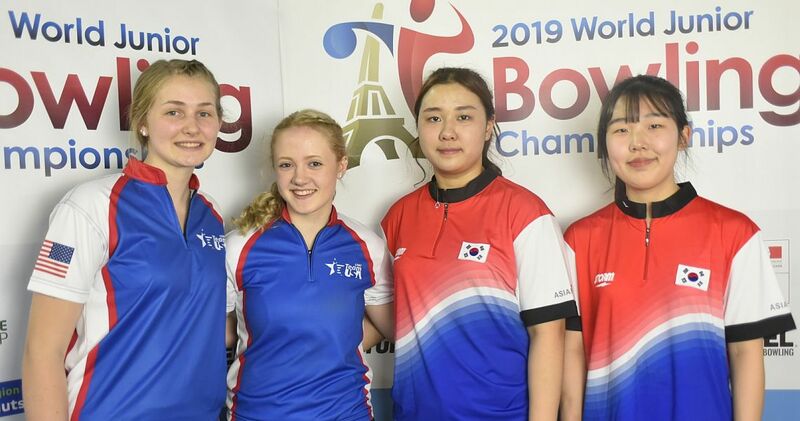 The athletes of squad B will return on Wednesday morning at 9:00 CET to Plaza Bowling Saint Maximin for the doubles preliminaries. 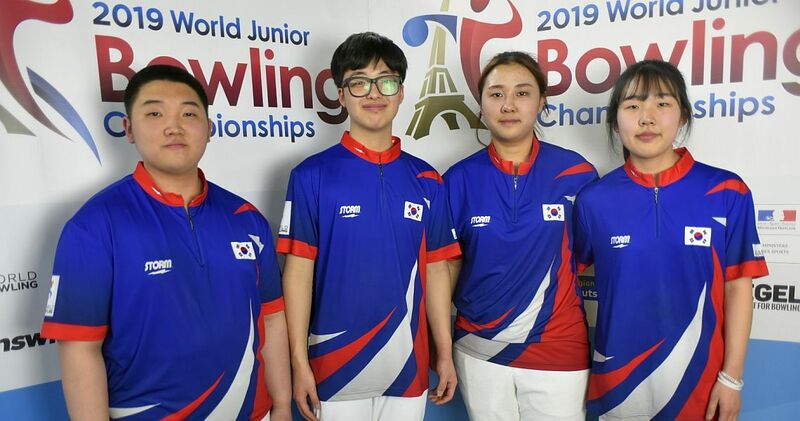 The boys from the United States (2,788) and the girls from Korea (2,816) took the lead in squad A Tuesday afternoon. 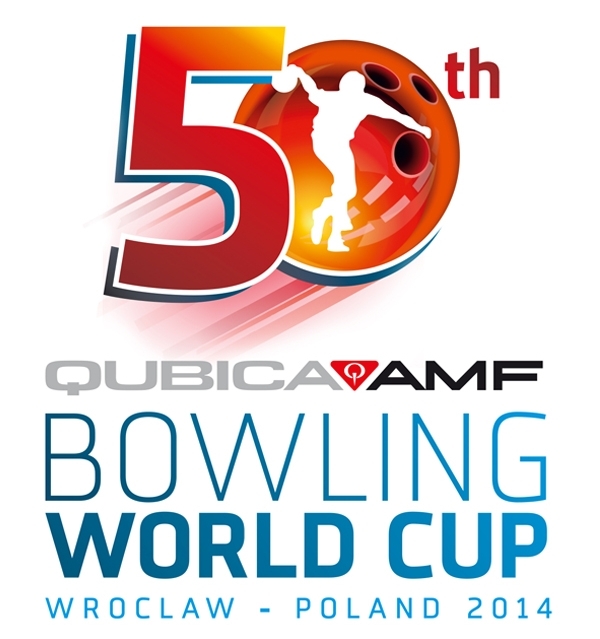 The first three-game block of the mixed team event will be held Wednesday afternoon starting at 13:30. 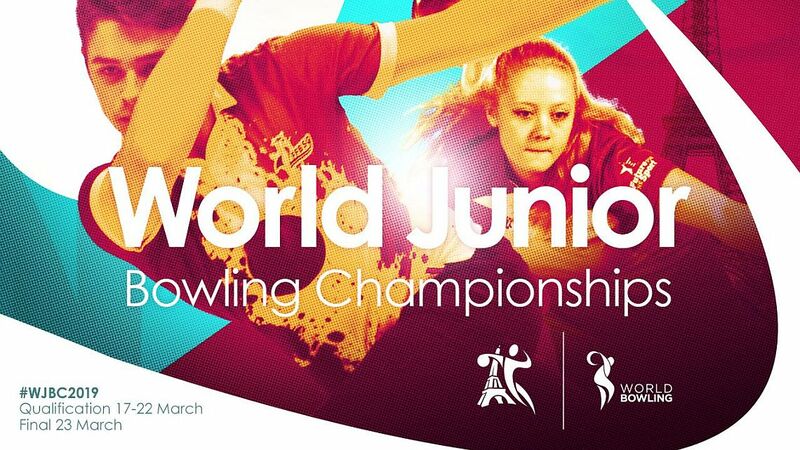 The third day of competition will conclude with the boys’ and girls’ doubles semi-finals at 17:00.